When Thomas Edison first hung a string of incandescent lights outside his laboratory in New York in 1880 so commuters on a passing train could see them, they called it the wizard’s light show. As the Winter Solstice approaches, and the days grow shorter, we turn to lights to brighten the darkness and warm our hearts. I was in Montreal this week, and even though there was a raging snowstorm, it was beautiful with magnificent wreaths, statues and lights gracing many of the buildings. Every year, Regent Street in London lights up. Here’s this year’s lighting ceremony on Regent Street. Even though I’ve never been lucky enough to attend the Regent Street festivities in person, I watch it online each year. My favourite was the year Nokia sponsored the display and made the lights interactive, so the crowd could control the lighting. Watch this amazing video of how they created the Unity Nokia Regent Street light display that year. For those of us in Eastern Ontario, Alight at Night at Upper Canada Village in Morrisburg is a must-see. We went last year and it was magical. The entire historical village is lit up, and you can take a horse-drawn carriage ride or simply stroll through the streets admiring the lights and light shows timed to music. Whether you live in a big city, small town or in the country, this week’s #HappyAct is to get out and brighten your night by looking at the lights of the season. 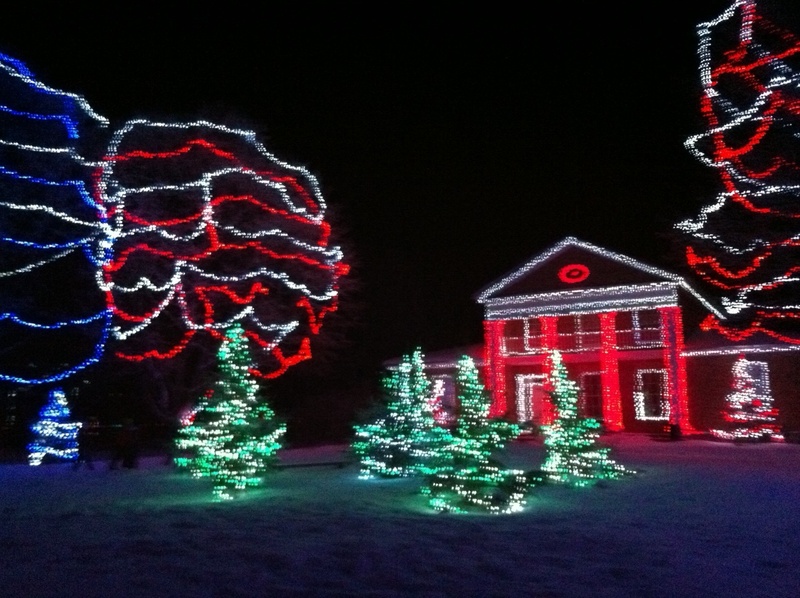 For more information on the history of Christmas lights, read this interesting article. Thanks hocuspocus13 for the reblog!